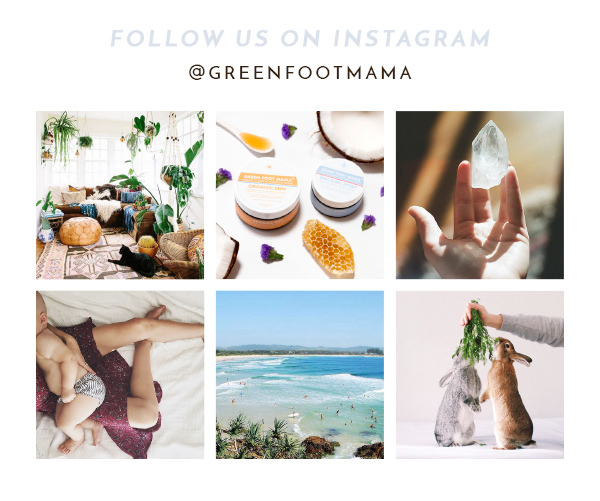 Hello and Welcome to Green Foot Mama! With only a few days left of summer, we are wanting to enjoy every last moment – savouring tropical fruits, beach walks and salty swims. To keep the love flowing in this edition we share a special Heart Chakra Meditation. Simply click on the image below to access. This week we have been delighted to discover that the beautiful Eco Goddess Isabel Lucas has shared her love of our beloved Organic Sun – using as part of her daily skin care routine and naming us one of her go-to products. This is such an honour, and to find ourselves mentioned so generously in Harper’s Bazaar, Beauty Crew, Buro and Gritty Pretty is a dream come true. Gratitude is overflowing here at GFM HQ.